Is it snowing in Patscherkofel ?¡Gracias! 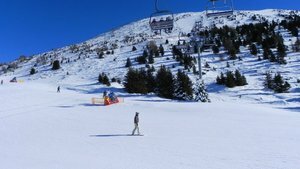 Patscherkofel in Austria (in the Tyrol region) is a medium sized ski resort with 7 ski lifts (1 gondola, 3 chair lifts, 3 surface lift) that offers skiers an incredible 1067 metres (3500 feet) of vertical descent. 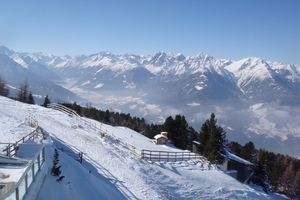 Patscherkofel has 20 kilometers (12 miles) of pistes. 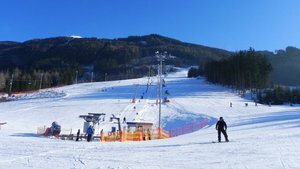 We have no information about the existence of any cross country ski trails at Patscherkofel. 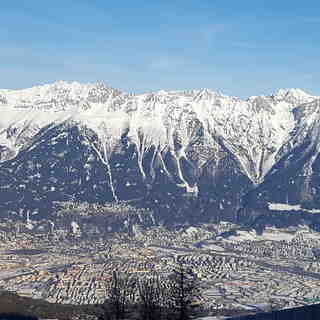 The nearest airport is at Innsbruck. Not a proper ski resort at best; no fun and tiny. At worst, dangerous.